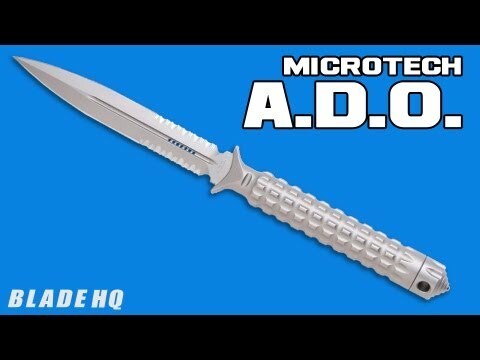 The A.D.O. 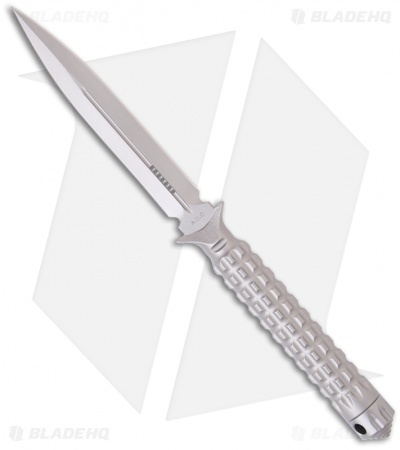 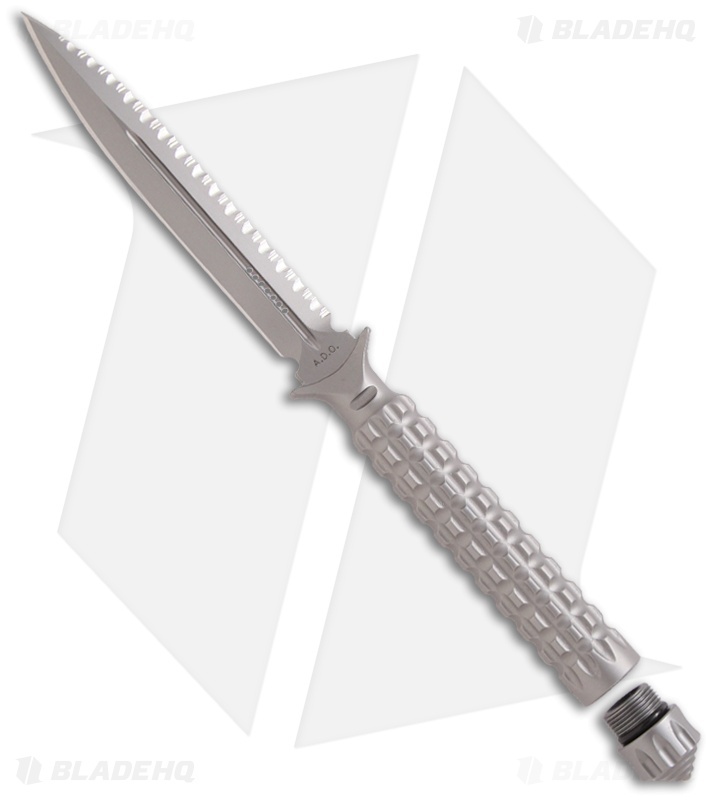 (Alpha Detachment Operative) is an extraordinary fixed blade from Microtech. 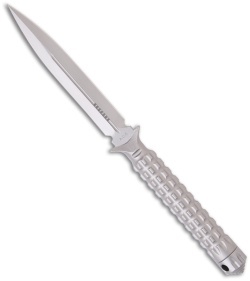 This one features a bead blast finished dagger blade (plain edge) and handle with a waffle-style texture. 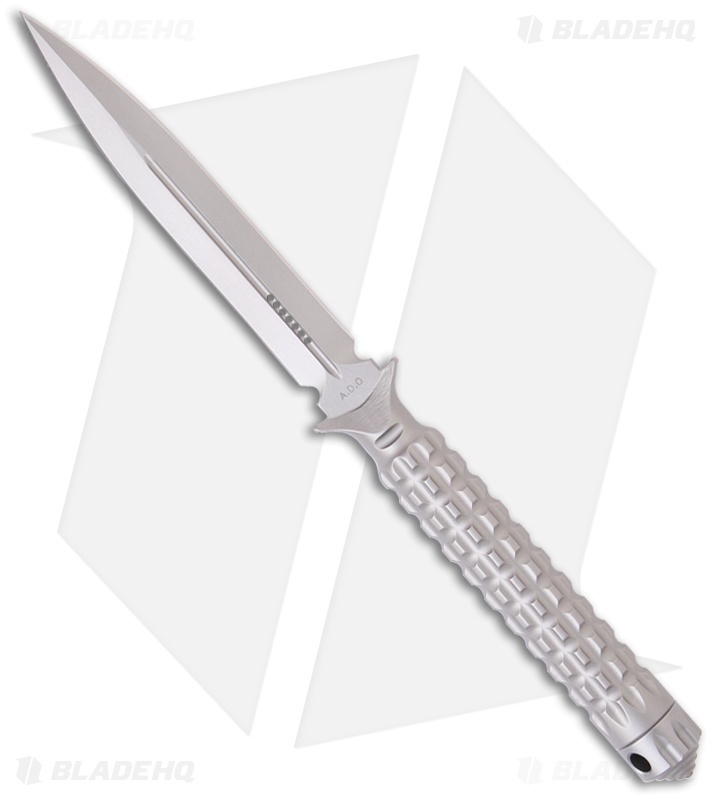 This knife follows the design of Chris Reeve fixed blades with a hollow handle, accessed by unscrewing the glass breaker tip. It is made from a solid billet of stainless steel. The A.D.O. 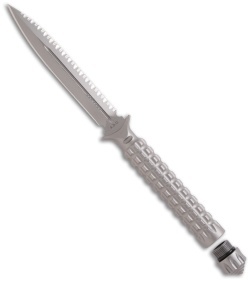 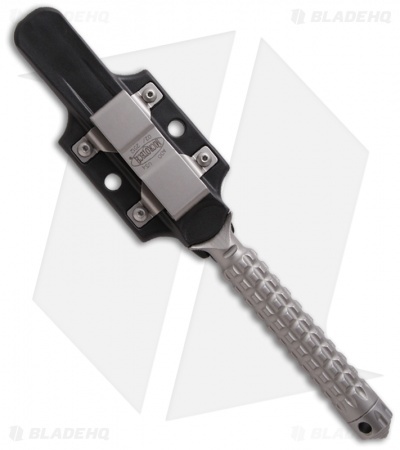 includes a composite sheath with a spring loaded tab to secure knife and 2" steel clip for belt carry.